It was really nice waking up not having to change my son’s diaper. 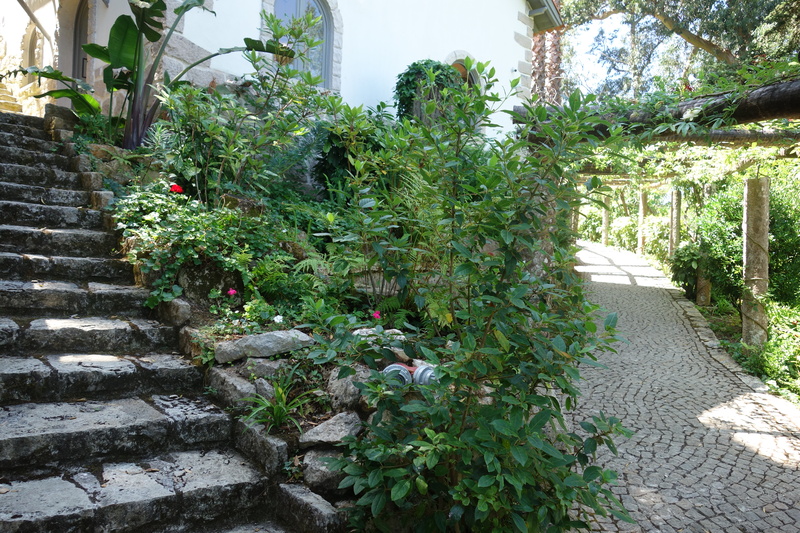 After we got up and had our breakfast, we went out to find the Moorish Castle. 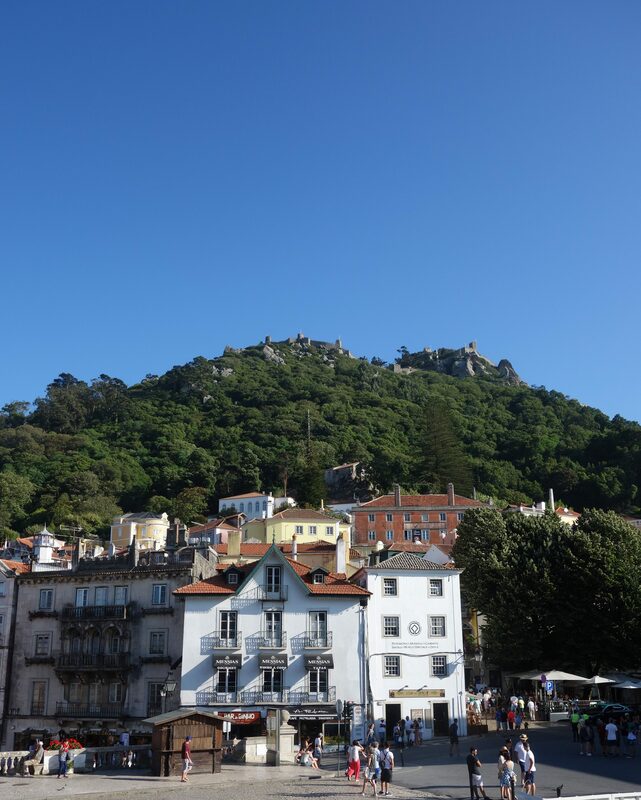 There were quite a few ways to get to the Moorish castle from town center. You can take the local bus 434 to most of the local tourist destinations. We decided to hike. 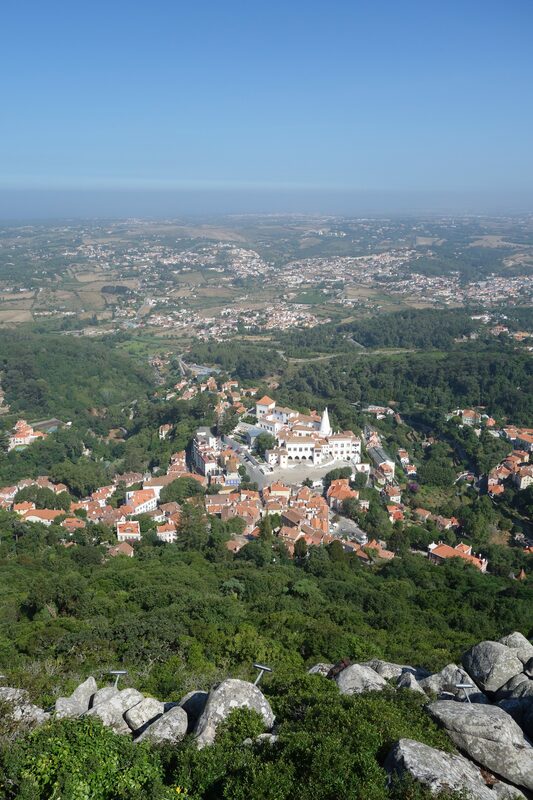 Even with hiking, there are a couple ways you can go up to the Moorish castle. 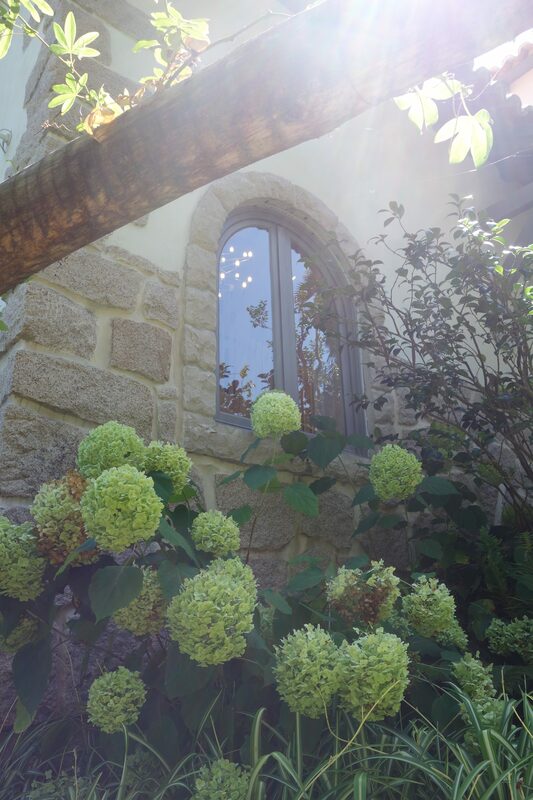 One way is through Vila Sassetti. The other way was past Church of Santa Maria. 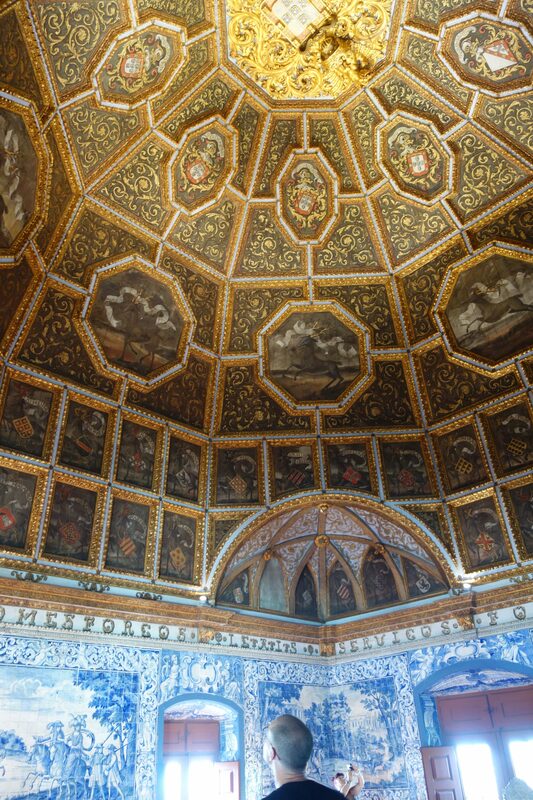 We went up through Church of Santa Maria. Followed the signs. This was a less traffic route than Vila Sassetti. 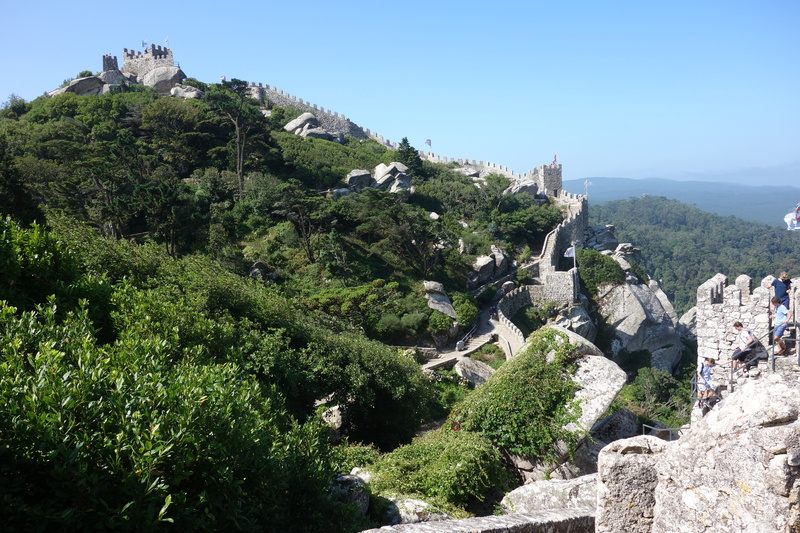 This Moorish castle kind of reminded me of the Great Wall of China. 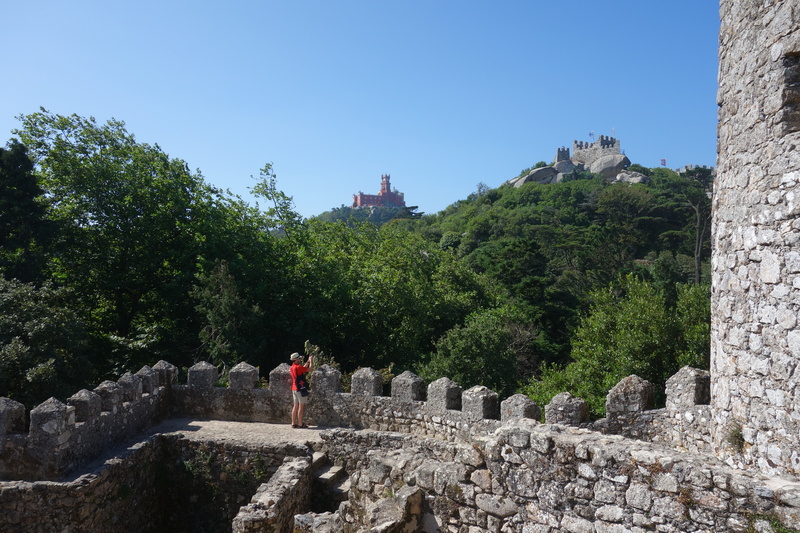 The red structure in the distance-Pena Palace. 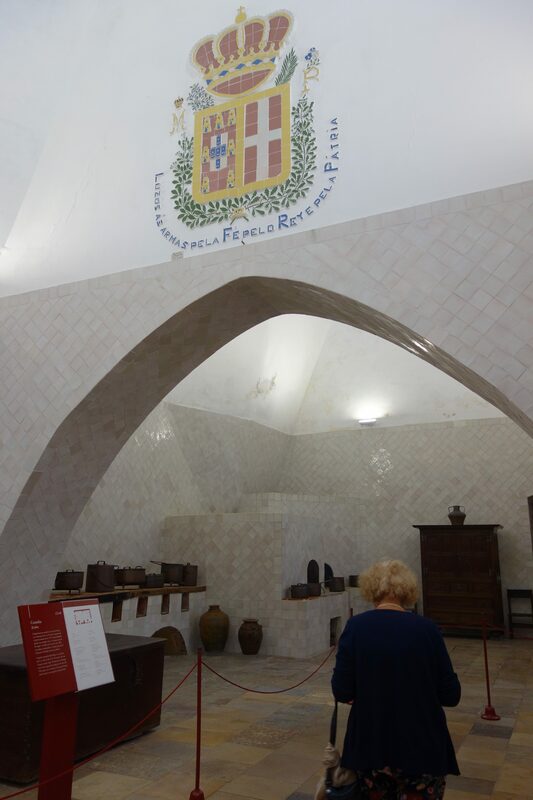 Our host, Carole, told us it would be a bit much to tour the Moorish Castle and Pena Palace in one day. She suggested us to tour one each day. 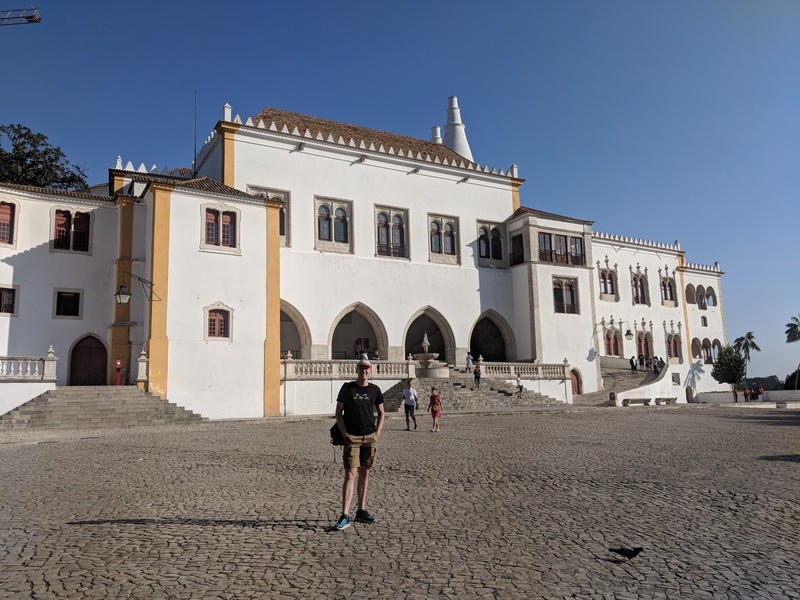 We took her advice and toured Pena Palace the next day. 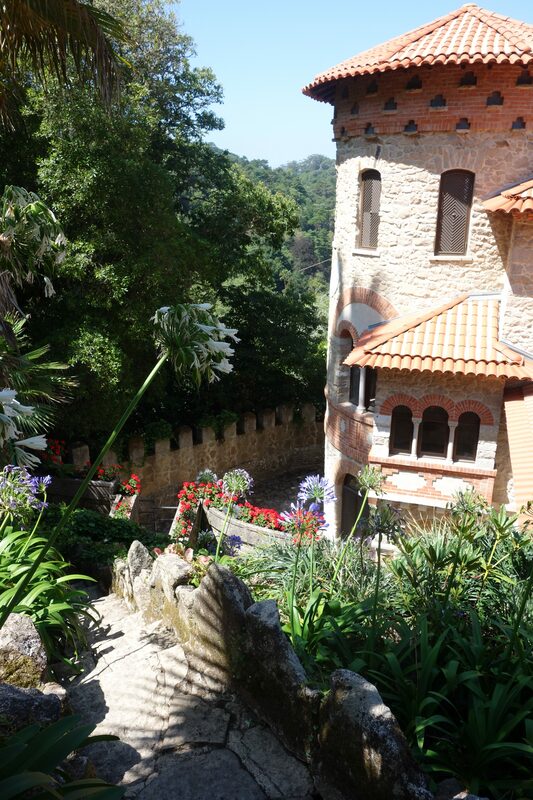 Our morning was spent walking around the Moorish castle. On the way down, we found the trail that goes through Vila Sassetti. 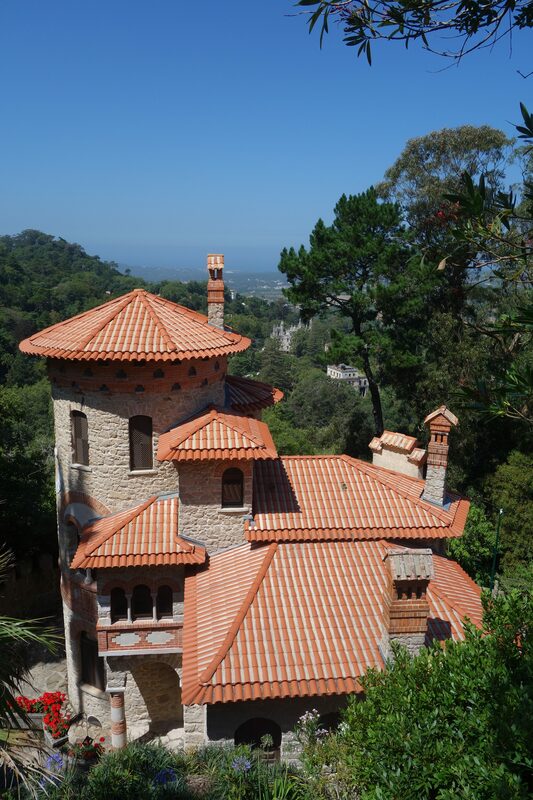 In the afternoon, we toured Sintra National Palace. 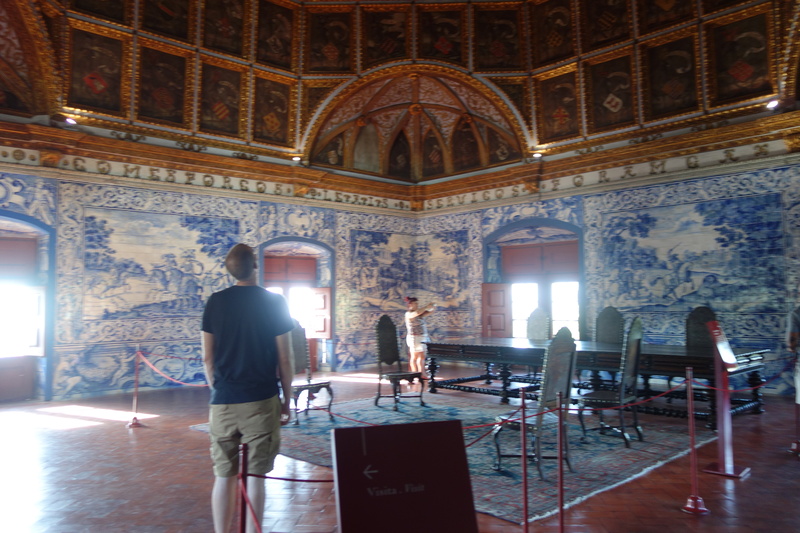 The most fascinating thing from the National Palace was the tile work. 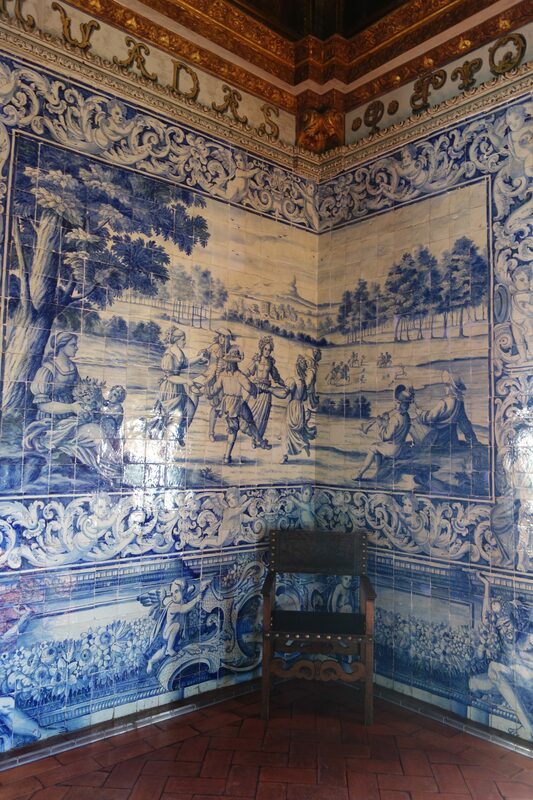 All four walls of this room were plated with tile art work. 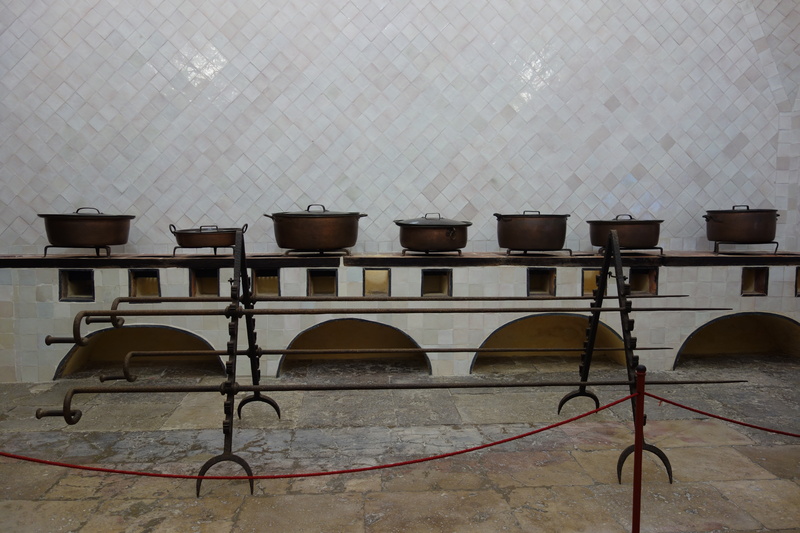 The kitchen was also fascinating. Thinking how people cooked in the old days. Though they are not in the pictures, the two huge chimneys that people can see from the outside set right on top of the kitchen. This concluded the end of our day 2!